Plus, three new PC games announced. 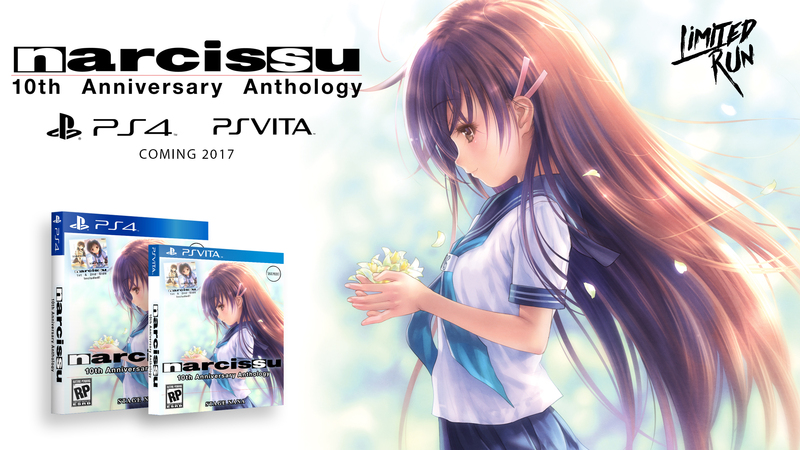 Sekai Project is bringing visual novel Narcissu 10th Anniversary Anthology to PlayStation 4 and PS Vita in 2017, the company announced at Otakon 2016. The release will be available both digitally via the PlayStation Store, as well as physically in limited quantities via Limited Run Games. Narcissu 10th Anniversary Anthology, which is also coming to PC, is a remake project that was successfully Kickstarted in November 2015. Narcissu is a series of linear visual novels that explores themes relating to terminal illness and the relationship between the living and dying. Sekai Project partnered with series creator Stage-nana to remake the series with new art, re-recorded voices, and an entirely new scenario. The 10th Anniversary Anthology includes four games in the series: Zero, A Little Iris, Himeko’s Epilogue, and the new chapter, Sumire. In addition to the PlayStation versions of Narcissu, Sekai Project also announced three new PC games in Fatal Twelve, Dairy Princess, and The Emerald Tablet. Find trailers and details below. Enter the world of alchemy in the daily adventures of the money-hungry but good-intentioned Misty, the arrogant adventure-seeking Gladys, and the explosive “expert” Winifred. Enjoy the classic JRPG-style mechanic of crafting elements in a story where Misty seeks the truth of alchemy that is bestowed upon the Emerald Tablet.